“Our industry is frequently overlooked and undervalued in aviation policy”, he said, speaking at the Association's annual meeting in St Albans. 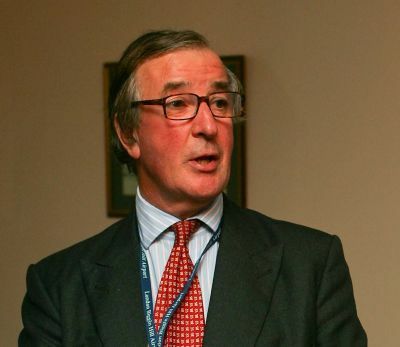 When he and Farnborough Airport boss Brandon O’Reilly were invited to speak to the House of Commons Select Committee recently business aviation was lumped in with freight. Contrast this with how New York regards business aviation airport Teterboro, an economic generator and valuable reliever airport, O’Reilly noted. “Are we too posh to push?” quipped Walters. Is that what politicians think of our sector? We want to see in the new policy statement, due to be published within weeks, recognition of the level of services our airports and FBOs provide, recognition of the capacity we need to grow, especially now that our passengers are going to be taxed”. (Passengers chartering private jets and business turboprops will be taxed from 1 April this year at the highest applicable rate bands). “Imagine London without its black cabs? Well in aviation terms, air taxis are the equivalent. If we don’t have the right facilities, infrastructure and aren’t open at the right hours, then other countries' airports will take our people and those who charter business aircraft with them. Recent government forecasts show that within 10 years from now, London’s scheduled airline airports will be maxed out. Business aviation will be squeezed, so it is vital our capacity needs are safeguarded”, continued Walters. Business aviation is an enabler, said EBAA President Brian Humphries, introducing a recently commissioned report from Oxford Economics, which demonstrated the sector is clearly helping to facilitate Europe’s recovery. For example, of the 88,800 city pairs in Europe served by business aviation in 2011, 96% had no daily scheduled connections. Furthermore, each additional passenger on a business aviation flight contributes the same GDP as nine business passengers on a scheduled flight. EBAA’s work in Brussels has helped the European Parliament understand the value of business aviation, says Humphries, concluding that while business aviation in Europe accounts for 7% of flights each year, it generates 9% of business-related revenues. Because of business aviation’s complementary role to the airlines, BBGA is backing a new UK centric initiative with the Airport Operator’s Association (AOA), led by CEO Darren Caplan, with support from a number of stakeholder groups – to help raise awareness of business aviation's value. The sector accounts for almost 8% of European flights and there are as many business aviation flights to the UK as there are flights coming in and out of Stansted, or Manchester, for example. The AOA has enlisted a public affairs professional, Peter Botting, to help facilitate a campaign targeted at policymakers and influencers, similar to the successful No Plane, No Gain initiative from EBAA’s US counterpart, NBAA, but focused on the UK. Funding, however, will be a crucial issue. 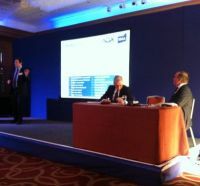 “Your industry is viewed (by politicians) as rather fuzzy, low priority, low urgency, Botting told delegates last week. "Business aviation may well be the trigger to get us out of the recession, but when MPs get savaged for travelling first class we need evidence – faces, case studies, academics, all embracing the value of business aviation". He pointed to the successful public affairs campaign Bombardier Transportation in Derby mounted to wrestle back an important contract awarded to Siemens of Germany. There is a need to speak with One Voice, or having that elevator speech ready, as Brandon O'Reilly described it – being ready to talk up your industry within three minutes, because policy makers are largely ignorant of its importance. The first step by AOA was to seek consensus around the definition of business aviation – the proposed descriptor is “non-scheduled, on demand aviation for business – unlocking the highest value global economic opportunities for UK business”. BBGA members were encouraged to embrace the campaign and to urge more disciplines to join the association which has been lobbying for the sector since 1974 when it was known as GAMTA. “The perception of our industry is not so good”, said BBGA Chairman Marwan Khalek, CEO of Gama Aviation, acknowledging there is a lot for this small association to do. “Ours is a highly regulated business with a lot of legislative work. We are too often on the back foot, being defensive. We need to get on the front foot. People don’t understand the value we bring as employers, how we help clients we fly be more time productive and efficient". The BBGA is an important association for us all and we need more members to join. The benefit (we make with lobbying) goes to all the whole fraternity, so it is time for others to put something in, he stressed. Business aviation operators are heading toward consolidation and this is inevitable considering that 40% of biz av charter operators in Europe have just one aircraft, 80% have less than five. “You can’t make money flying just one aircraft, not anymore”, said London Executive Aviation Chairman George Galanopoulous. LEA CEO Patrick Margetson Rushmore suggested that European operators may start to team up, to create better economies of scale, realise commonality, expand the skillset and geographical reach, as well as create a more attractive exit strategy, longer term. Merging for the prestige, however, is not the right reason, he opined. London Oxford Airport based Hangar 8 recently bought International JetClub at Farnborough. In December a cluster of eight European operators formed a new charter alliance called AirClub. Collectively the group, which includes Air Alsie, GlobeAir and PrivatAir, operate a 106-strong aircraft fleet from King Air turboprop to Boeing 757. They are combining their strength and purchasing power and while retaining their independence they will cross sell and be able to widen their service offering. 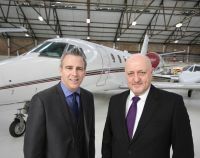 A big talking point amongst delegates was the acquisition announced last week by Marshall Aerospace of the Oxford-based FlairJet, to bolster its existing charter business Marshall Executive Aviation based at Cambridge Airport. The Marshall Group and FlairJet have very different origins. Marshall Aerospace and Defence Group is a 100-year-old company with its roots firmly in defence and engineering, while FlairJet is three years old and started in the teeth of a recession, flying Embraer Phenom aircraft. The two companies first started talking nearly a year ago, exploring synergies, Flairjet Managing Director David Fletcher said. “We saw our values were identical and culturally we are a perfect fit”. The expanding Oxbridge airports, however, unlike Biggin and Farnborough Airports, are not restricted in handling just business aviation and GA traffic it was pointed out. Both are actively exploring scheduled services too and are investing to see this side of their business become more prolific. The attendance by regional airports to the event was an indication of their welcoming business aviation using spare spare movement capacity. It also broadens the commercial offer to businesses in their catchment. Bristol Airport for example has just established an FBO, encouraged by the prospective demise of Filton, whilst Scottish airports such as Edinburgh, Glasgow, Inverness and others such as Bournemouth, East Midlands all have material business aviation traffic. Such developments can only serve to help strengthen the new AOA/BBGA campaign. The European airspace users' community is facing another setback on the implementation of Single European Sky after the Single Sky Committee, consisting of representatives of the 27 Member States of the European Union last week adopted the so-called performance and charging schemes for the period 2015-2019. 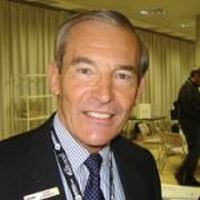 It was Brian Humphries who used the BBGA platform to reiterated the consensus of all those involved in business flying. “It is unacceptable that the European flagship programme for aviation appears to be rapidly falling apart. It has been coming for 21 years and still not arrived.” Everyone agreed. A proper European Single Sky is a must.